To celebrate the birth centenary of the UAE founder and his legacy, a UAE minister announced the launch of a global online platform to share the country's success stories to the world. 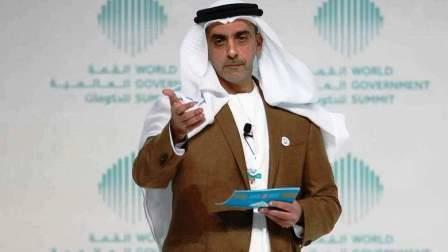 During a late afternoon session on the first day of the World Government Summit, Lt-Gen Sheikh Saif bin Zayed Al Nahyan, Deputy Prime Minister and Minister of Interior, announced the launch of the global inspiration platform 'Zayed, The Inspirer' as a database of inspirational stories from all over the world. The platform, www.zayedtheinspirer.ae, aims to be "a source of inspiration of all mankind" and is launched to mark the centennial anniversary of the birth of the late Sheikh Zayed bin Sultan Al Nahyan, who was born in 1918. It features initiatives that positively impacted citizens' lives such as Souq.com, ride-hailing app Careem and Sellanycar.com. People or companies with inspirational stories are urged to share their experience on the platform. "Through the platform, we share with the world the successes that will enable us develop ourselves and the world through the display of successful individual or group stories," said Sheikh Saif to a crowd of delegates during his session titled "The land of inspiration and opportunities". His Highness Sheikh Mohammed bin Rashid Al Maktoum, Vice-President and Prime Minister of the UAE and Ruler of Dubai, was present amidst a crowd of ministers and delegates. During his keynote address, Lt-Gen Sheikh Saif said that Sheikh Zayed has taught people that inspiration creates opportunities; and that opportunities are the key component in the journey of determination towards success. "The Emirati inspiration is inherited into our leadership, who pass it on to our people," the minister said. "The main element of great civilisations is humans, and the way the humans deal with the environment." Lt-Gen Sheikh Saif demonstrated that behind the countries that achieved great success throughout history, was the humans who converted challenges to opportunities. The late Sheikh Zayed had a vision to sustain the ecosystem and make an optimal use of resources, leading to the formation of Masdar City. "Sheikh Zayed explored the fields and discovered the burning natural gas. His vision contributed to finding a solution to preserve the ecosystem and benefit from the resources, leading to the formation of Masdar City." "Today, the cost of material used to generate clean energy is reduced by 90 per cent compared to 10 years ago," the minister noted. And as the country prepares to release its Hope probe to Mars in 2021, he said that UAE founder met astronauts in 1974 before they go to space, and then listened to their experience when they landed two years later. "Of the main achievements we have today are satellite communications, as well as batteries used for heart surgery." The minister further added that the success of the UAE goes back to the leadership's positive and inspirational outlook on challenges. If the leadership was able to move the country to where it has reached with capabilities they had back in the 60s and 70s, he said, then the youth must explore the capabilities they have and look towards the future. "If you want to achieve your objectives, you have to spread positivity around you," he added. Since Sheikh Zayed broke the ice between supervisors and employees, it inspired the formation of a digital platform to answer employees' inquiries. Today, 80 per cent of all government services are electronic as a first step towards moving to an entirely smart city. "We need to relook at our history to find the solutions of tomorrow," Sheikh Saif urged. Zayed the Inspirer platform was launched out of belief that success doesn't happen individually, but through collective efforts and positivity. "As long as home is united, then all difficulties are easy. Home is the country that cares for its children and provides opportunities through empowerment, rehabilitation and education," said Sheikh Saif. The result, he said, is that the UAE became a land of inspiration and opportunities to expats and residents alike. "If you see an opportunity, take the initiative to develop it whether at home or at work. Connect your goal with positivity," he said.